My husband literally loves to buy everything in bulk. Everything! 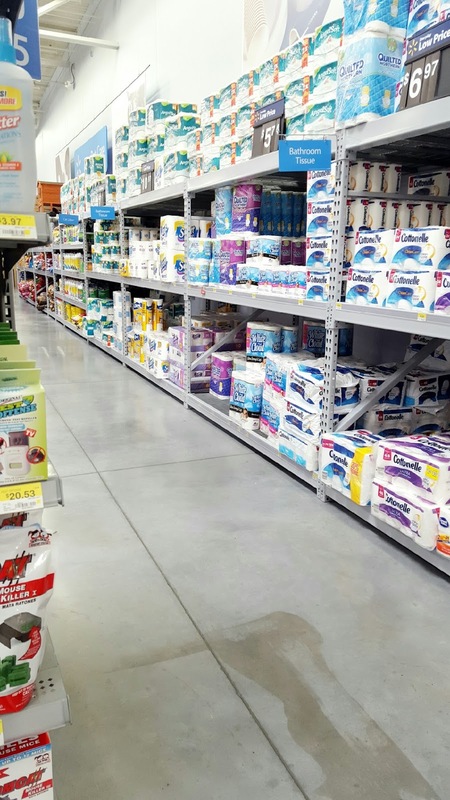 We have cleaner, deodorant, soap and Quilted Northern Ultra Soft and Strong toilet paper. I love bulk too, but not when we have the tiniest bathroom in America. I’m a little dramatic, but it’s small. The picture below shows you that we have at least double of everything, if not more. For those of you who know Matt, he is very particular and choosy about certain things. 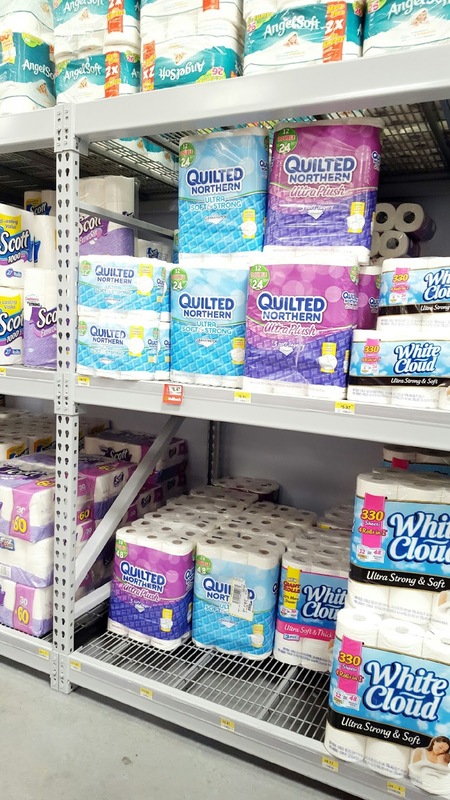 I love Matt to death, but when he buys bulk toilet paper at Walmart he always hides in plain site in a random corner in our tiny bathroom. Which he claims doesn’t look ghetto at all, but it totally does. I will say he is the perfect husband, I come home from a long day and dishes, laundry and dinner is done and it’s incredible. 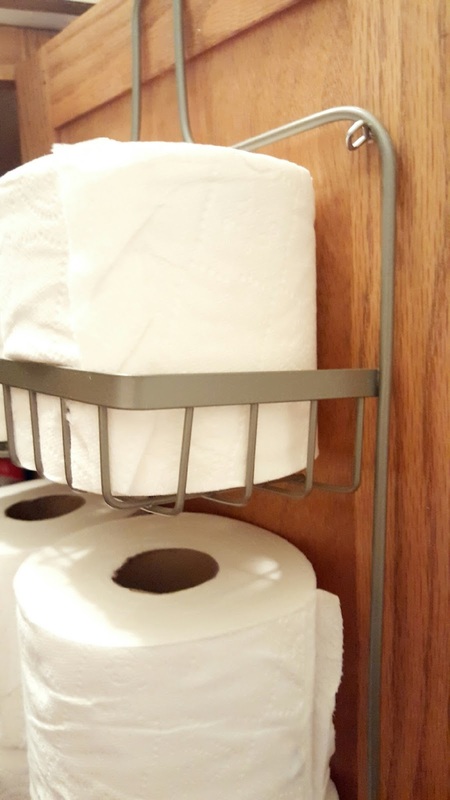 We totally needed to come up with some bathroom hacks to clean up and organize our bathroom up a bit. I am no saint, everywhere you look there are bobby pins, so we came up with a few hacks to clean of the bathroom a bit. The best bathroom experiences are forgettable. Quilted Northern is designed so you can forget your bathroom experience. 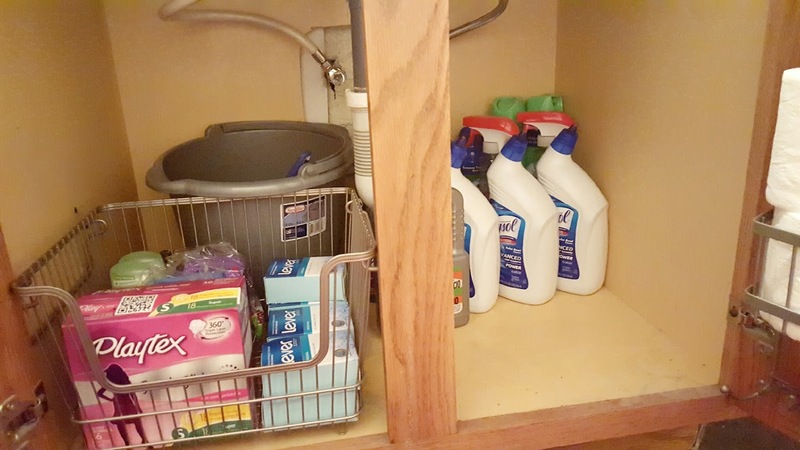 I never want anyone to have an experience in my bathroom so here are OUR top 4 bathroom hacks, to organize and create a forgettable bathroom! 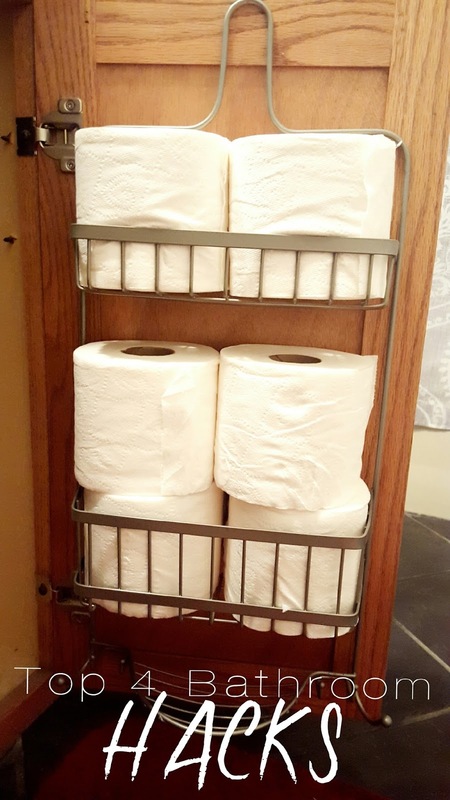 In order to consolidate space we used a shower rack to store our toilet paper, but in a place where it’s out of the way and won’t get wet. How to do the same! 1. 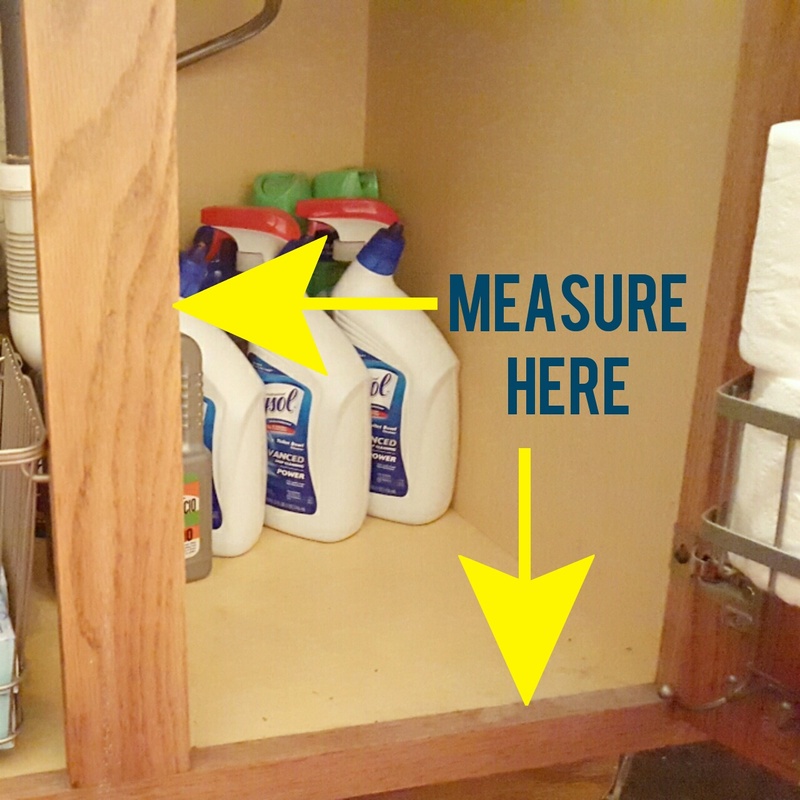 Measure the size of the cabinet you would like to hang the rack on. Meaning measure the opening so that you can go to Walmart and buy the right size of shower rack that will fit in the hole without hitting the sides. 2. Once you have obtained your shower rack, measure the top and mark with a pencil on the cabinet where your hooks should go to hold up the shower rack. 3. 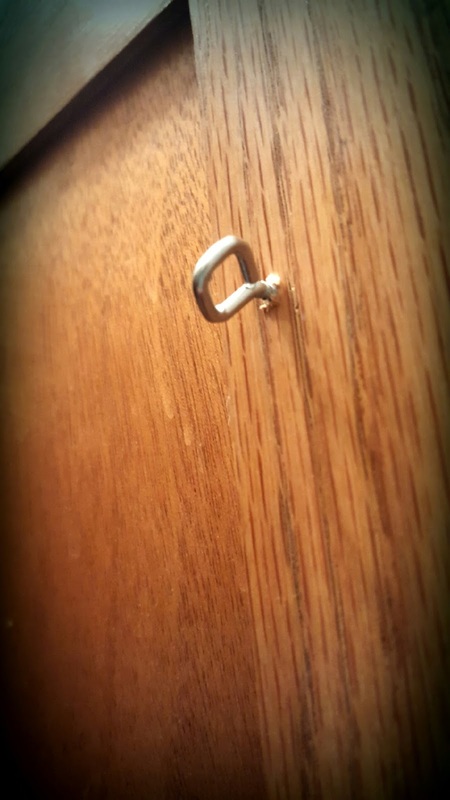 Screw in picture hanging hooks where marked with a pencil. We used these, because we had them already and because they won’t go all the way through the cabinet. 4. Hang your shower rack onto the hooks. Place toilet paper inside. Spoiler alert! It will also hold whatever else your little heart desires. I don’t know about you but when I vacuum or clean I will find on average four or five bobby pins. I don’t know how I do it. Do they just fall out of my hair? Tough to say. I think I buy a new pack of bobby pins once a month. It’s nuts, I only use two or three a day so it’s nuts. 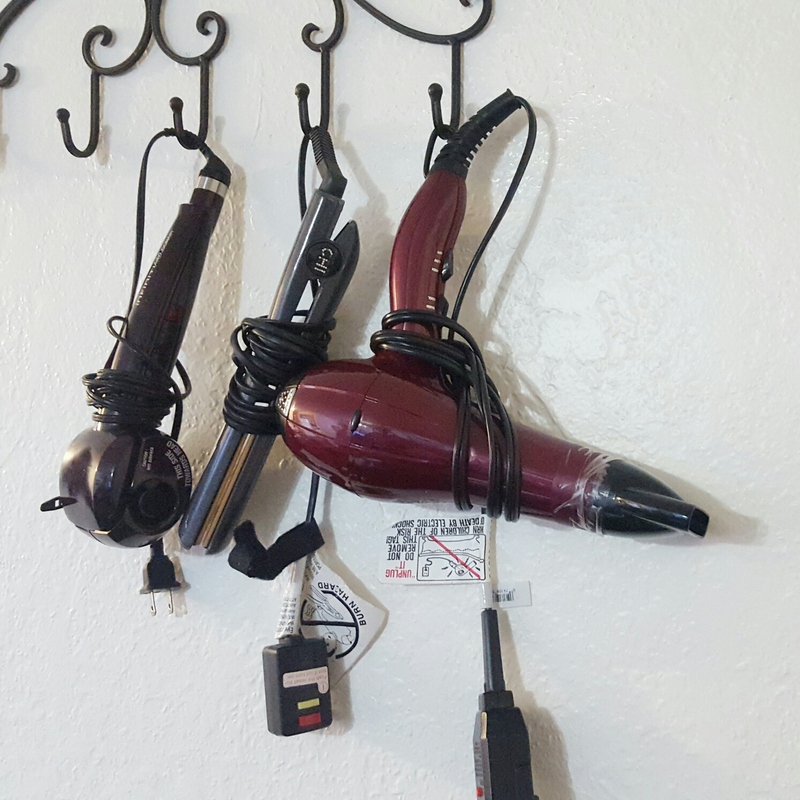 My hubby came up with the idea to put a magnet along the cabinet door to place my bobby pins on and I have been losing them less often. 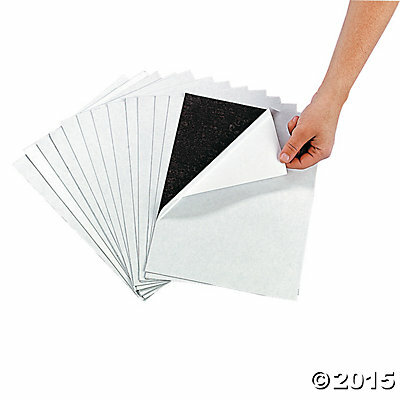 I went on Oriental trading company and bought the magnetic sheets that are adhesive on one side. They were only 12 dollars and I got 12 sheets! Matt then cut the sheets into strips and put them on the inside of the cabinet where I store my hair spray and what not. Have I mentioned there is no space in our tiny bathroom? We are very grateful that we were given a ton of soft and amazing towels for our wedding, but we simply did not have space for all of them. FACT! One day I watched one of those Facebook videos that everyone watches and saw they were able to pack more clothing when it is rolled and then put into a suit case. 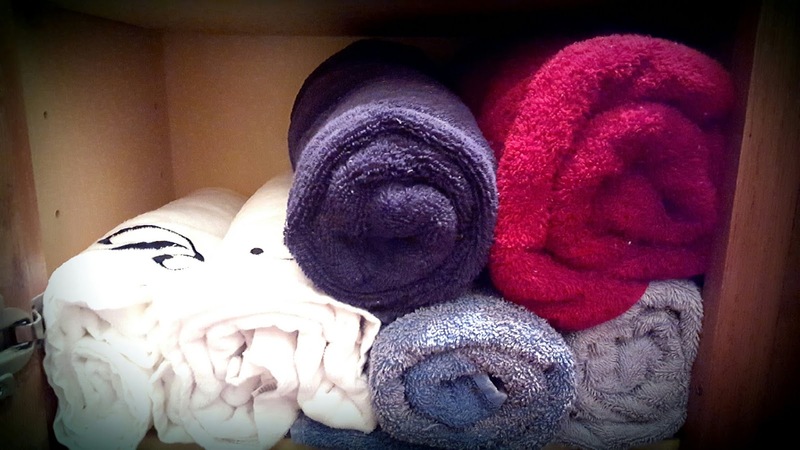 Roll your towels and you can fit more into your towel closet. And you look a little more fancy! We would love to hear about your best bathroom hack ideas!! Post them below! My hall closet is a mess I need to roll the towels. Great idea. Great write up Cassie! My hall closet is a mess I need to roll the towels. Great idea.